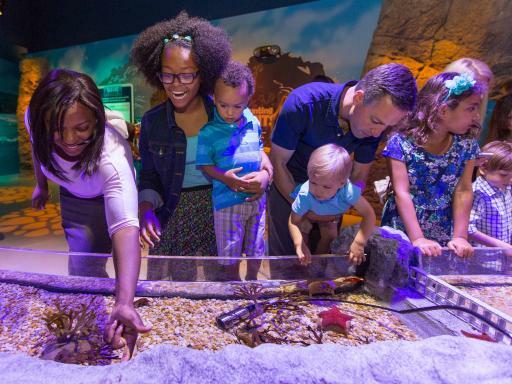 Be one of the first to explore the fantastic SEA LIFE Orlando Aquarium and come face to face with more than 5000 creatures from the deep. 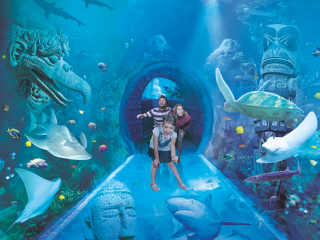 Explore the wonders of the oceans and surround yourself with turtles and sharks as you enter the 360-degree ocean tunnel. Want to get from one side of the park to the other and give your feet a rest? Hop on the Sky Ride and get great views over the park. 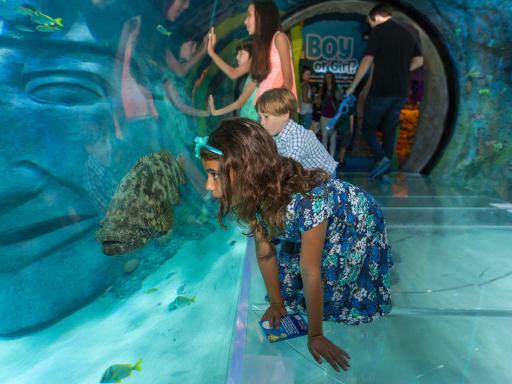 SEA LIFE Orlando offers a new wave of underwater adventures with diverse species from around the globe and features Orlando’s only 360-degree underwater tunnel. 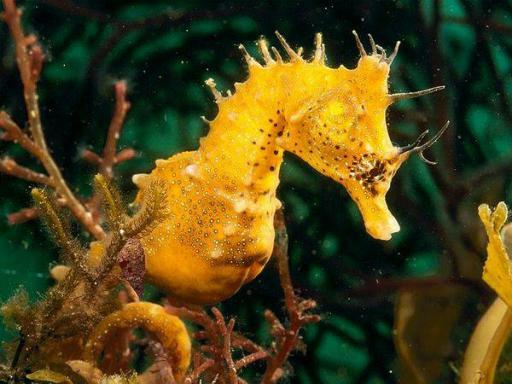 Use your SEA LIFE Orlando tickets to dive into a magical underwater world filled with more than 5000 marine creatures. 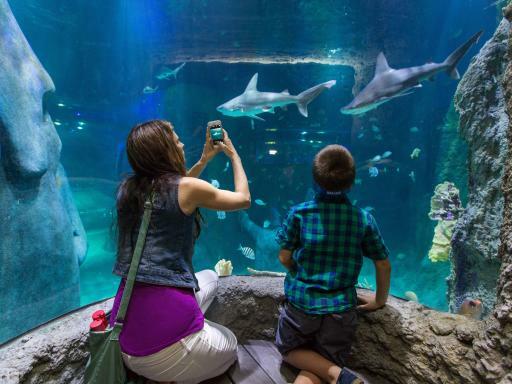 Enjoy face-to-face encounters with sharks and discover what creatures live close to the shore in a hands-on interactive rock pool experience. 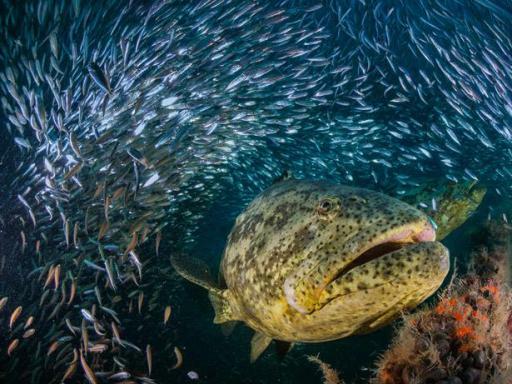 Be amazed at the spectacular floor-to-ceiling ocean displays that showcase the wonders of the Atlantic, Pacific and Indian oceans. 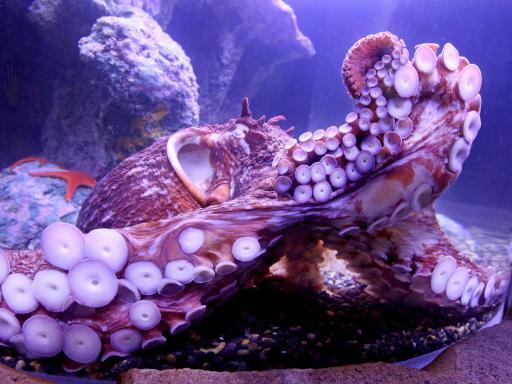 Encounter stunning blooms of jellyfish and search for the giant Pacific Octopus that lurks in the sunken shipwreck. 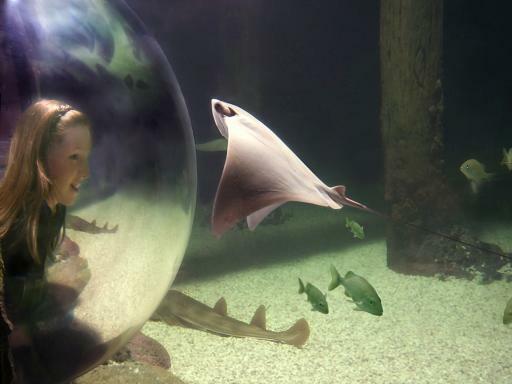 Feel your heart racing as sharks and graceful rays swim right over your head in the 360-degree underwater tunnel and come nose-to-nose with the green sea turtles. 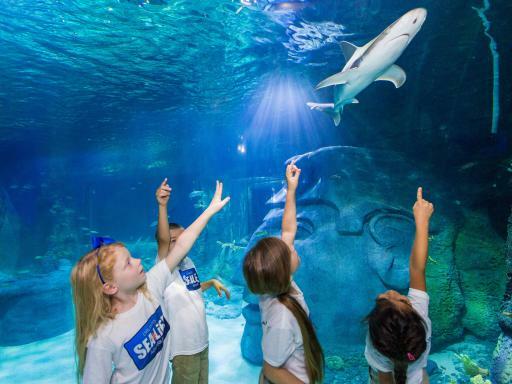 SEA LIFE Orlando is located at I-Drive 360 in the heart of Orlando’s International Drive. 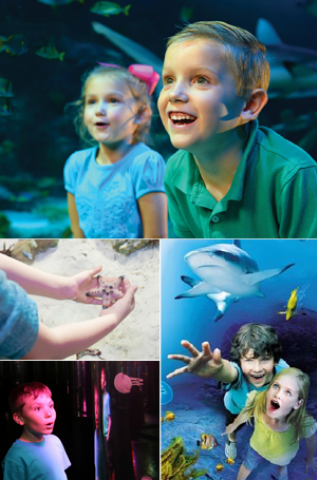 All our SEA LIFE Orlando tickets are open-dated giving you the flexibility to visit SEA LIFE Orlando at a time that suits you during your holiday to Orlando. 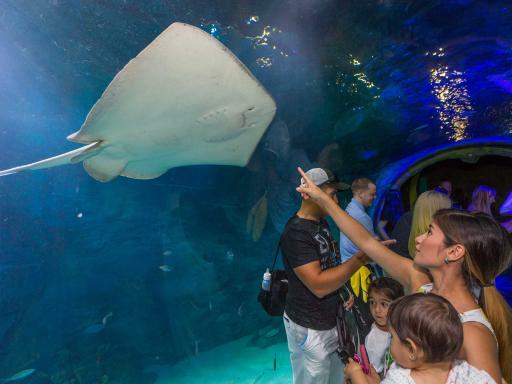 There is a choice of an individual SEA LIFE Orlando Ticket or you can choose to purchase a 2 or 3 attraction ticket and combine your visit to the SEA LIFE Orlando with the other attractions at I-Drive 360. 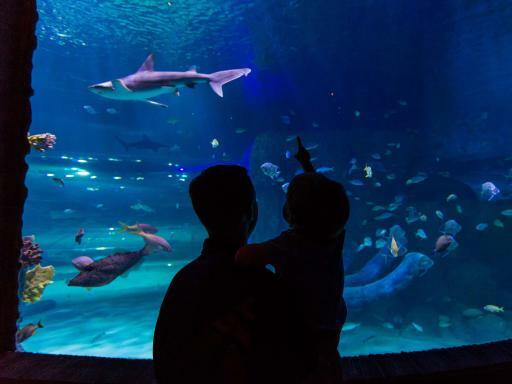 SEA LIFE Orlando Ticket – open dated, fully flexible ticket. Madame Tussauds & SEA LIFE Ticket – gives you admission to Madame Tussauds Orlando and SEA LIFE Orlando Aquarium. Both attractions must be visited within 30 days of the first visit. 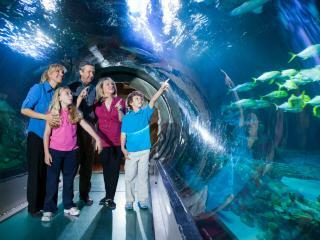 Madame Tussauds, SEA LIFE & Coca-Cola Orlando Eye - the best value I-Drive 360 ticket available gives you admission to the Coca-Cola Orlando Eye, Madame Tussauds Orlando and the SEA LIFE Orlando Aquarium. All attractions must be visited within 30 days of visiting the first attraction. In a hotel, ask for a fridge in your room – even if you have to pay a little extra. It’s invaluable for cold drinks, fresh food and milk. A great alternative to sea world. Madame Tussauds was a lot better than I thought. My 11 years old daughter loved it. A great place and surprising how much can be fitted into a small site.